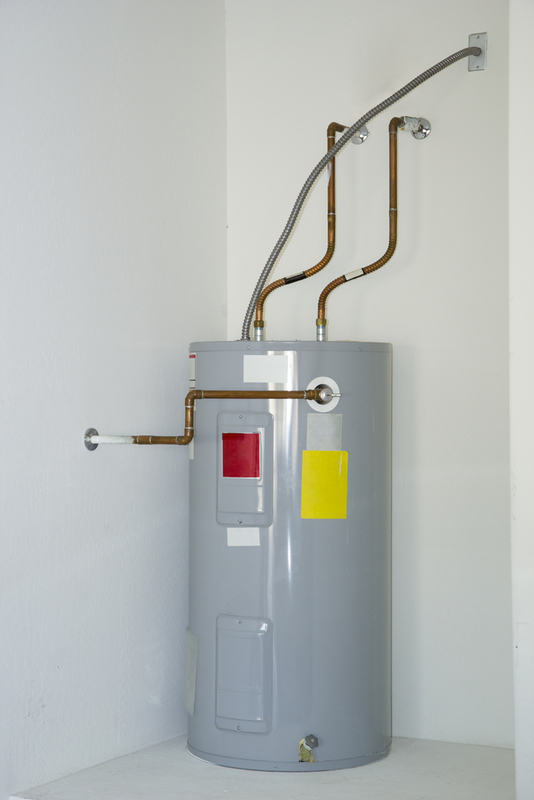 How will you know when your water heater needs to be replaced? When its steel tank begins to leak. Conventional gas and electric water heaters have few external components, and none of them move, which makes these appliances quite durable. You may need to replace an ignitor or a temperature-and-pressure (T&P) relief valve occasionally, or in the case of an electric heater, a heating element or thermostat. However, these components are inexpensive, and so simple that they make for easy change-outs. A leaky tank, on the other hand, often signals the bitter end. Steel tanks are naturally susceptible to rust, and heat only exacerbates the problem. So why do most water heaters these days have steel tanks? Because they’re familiar and cost a fraction of the other designs on the market. Plus, manufacturers have long known how to mitigate the rust issue. The first line of defense is a porcelain tank lining, which is swirled in and baked on. The second is a sacrificial anode rod, usually made of magnesium. These are typically less than an inch thick and about 42 inches long. They’re usually threaded into the top of the tank. The glass lining does most of the work, but it isn’t perfect, and most applications leave many tiny pin holes. This is where the anode earns its keep. Magnesium in this environment corrodes easier than iron, and as the anode corrodes, it sheds electrons, which are drawn to the pinholes in the glass. As long as the rod is in place, the tank won’t corrode. It’s a neat trick, but it has a shelf life—anode rods don’t last forever. Manufacturers make 5-year anodes and 10-year anodes, hence the 6- and 12-year tank warranties. Without anodes, tanks can rust through in as little as a year, depending on local water conditions. Soft water, by the way, is more aggressive than hard water. There’s a real opportunity here for the frugal homeowner. If you replace your heater’s anode when the tank warranty expires, or any time before the tank leaks, you could double the life of your heater for the price of a pizza with sodas. Home improvement centers and hardware stores sell replacement rods for $20 to $50. While not always easy, anode replacement is pretty simple. Look for the anode rod’s hex nut in the top of the heater. If you don’t see one, expect the anode to be part of the water inlet tube, which will require that you cut the water line connected to it. I’ll assume a standalone rod, independent of the inlet tube. Begin by shutting off the gas or electricity, then drain off a couple of gallons of water using the drain valve near the bottom of the heater. Be sure to open all overhead faucets to release any trapped water. Use a 1-1/16-inch socket and long bar to break the heater’s grip in the old anode. This will be an iron-to-iron connection, so expect it to require some exertion. It’s best to have a helper to grip the water lines just above the heater, so you don’t end up rotating the heater as you break the connection. If all else fails, heat the tank fitting with a propane torch and try again. Some of these connections are harder than others, but they’re usually manageable. Thread the rod up and out of the heater. Expect the spent rod to be completely corroded. Before installing the replacement rod, apply a light coating of pipe-joint compound to the first three threads, then tighten the rod in place. You’ll need a little joint compound to seat the rod, but don’t overdo it. The anode will need direct electrolytic contact with the tank to work effectively, and too much compound can interfere with that connection. 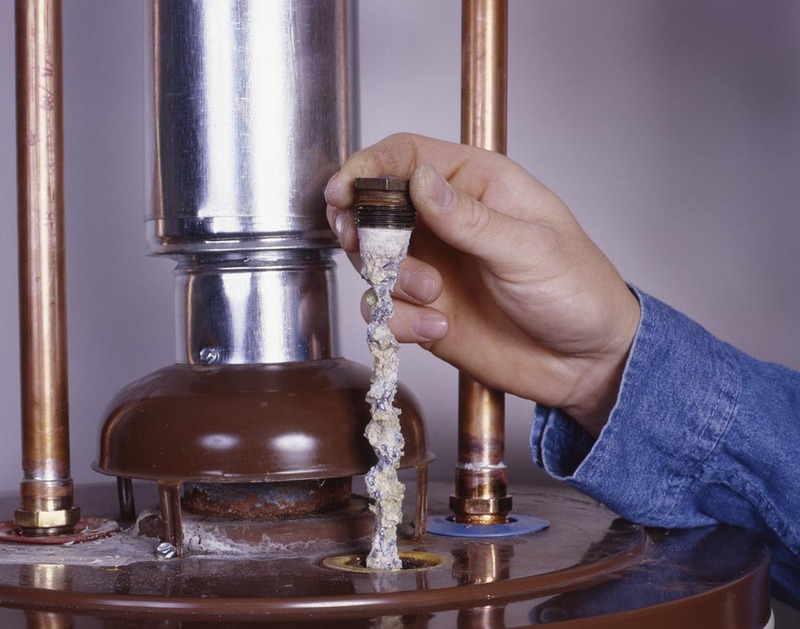 With the anode in place, turn the water back on and restore gas or electricity. While you’re at it, test your heater’s T&P valve. Lift the release lever until water flows, then let the valve snap shut. If little or no water escapes, or the valve continues to drip, replace it. 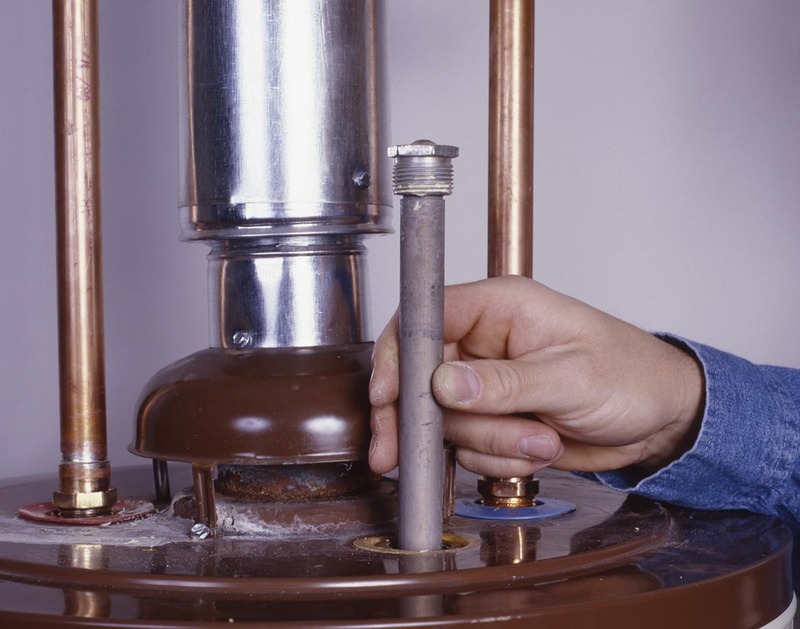 A working T&P valve is an essential safety feature on every heater. As always, if you feel yourself getting in over your head, call a licensed plumber. 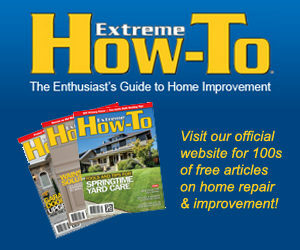 Merle Henkenius is a freelance writer and photographer who specializes in home improvement articles and books. He is a licensed master plumber, but has hands-on experience in nearly every phase of construction. 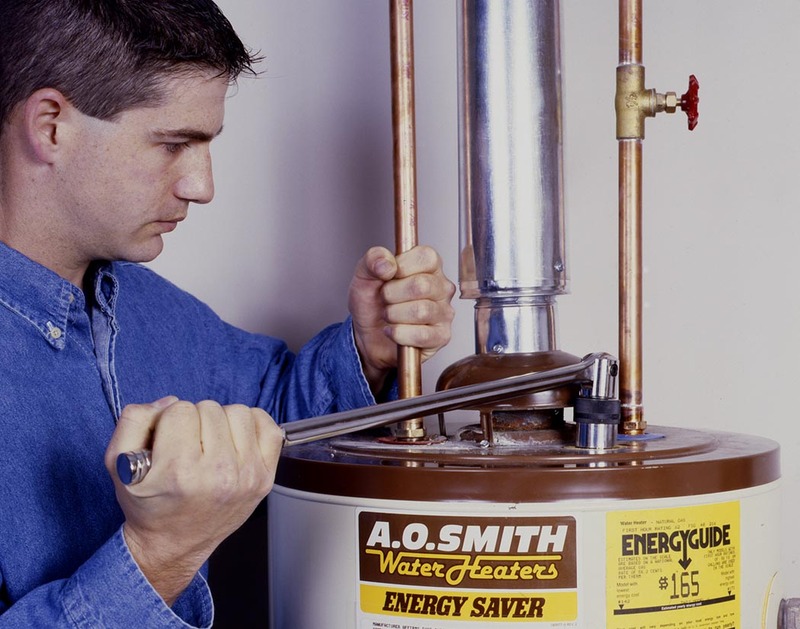 To learn more about maintaining your water heater, please read The Ultimate Guide to Water Heaters at Home.